More and more consumers are turning to their mobile devices to both buy online and plan retail visits, so a shopper-friendly mobile site is becoming a vital component of any brand's marketing mix. In the latest of a series focusing on customer experience, Marketing discovers how Adobe helped B&Q improve engagement, traffic and online sales using reliable and quantifiable data. Over the past few months, we have seen national newspapers and other commentators report on the leading role m-retail has taken during the Christmas and new year shopping season. According to IMRG, the online retailers' association, shopping on mobile devices reached a staggering £100m on Christmas Day and £140m on Boxing Day, demonstrating just how integral omnichannel retailing has become as part of the shopping cycle. It means that a seamless approach to the consumer experience through all available shopping channels is vital, whether via mobile, high street or online. Yet, as with the high street, there are certain brands that are moving ahead of their competitors, using omnichannel to learn exactly what each customer wants. For any industry, "the customer is always right" is a resonant motto. Knowing your customers, understanding what they want and providing them with the service and experience they expect is a fundamental element to building brand loyalty. However, with the surge in omnichannel communication, knowing your customer when you can physically see them is one thing, but knowing them when they are just "behaviour" on a website is a much bigger challenge. So what if we could know more about our customers' behaviour online than in real life? Using tools to gather data and interpret behaviour has become increasingly powerful and marketers can gather valuable knowledge about what is popular and what exactly a site is used for, enabling them to tailor their offering to make sure it fits the needs of customers and the business. This Christmas proved how important online platforms have become for shoppers, and providing a website that meets requirements and customers enjoy is now essential. One company that truly understands the value a website has in meeting customer needs is B&Q, Europe's biggest home-improvement retailer, attracting more than 3m customers every week, both online and in-store. The company works to provide homeowners and contractors with everything they need to update and maintain their homes both inside and out. However, despite its traditional bricks-and-mortar retail heritage, B&Q's view into its customers' online journey was disjointed, making insights difficult to understand. Views of the customer journey jumped from one stage to another, meaning the company had little knowledge of how shoppers came to make their purchasing decisions. It also had to contend with multiple reports with different outcomes, making the task of understanding which data to trust challenging. Keen to learn more about how visitors used its site, as well as wanting to improve the online aspect of the omnichannel experience, B&Q used Adobe Analytics, part of Adobe Marketing Cloud, to help it better understand what its customers wanted to create a truly valuable online experience. Adobe Consulting met B&Q's merchandisers and digital marketers to gain insights into what each team needed from the website. It identified two key objectives: real-time actionable insight into product performance; and website marketing campaigns. B&Q uses Adobe Analytics to follow the complete customer journey through the website, from entry point to purchase, providing information on the content that attracts customers and - as a result - encourages action. It provides B&Q with reports that are both reliable and easy to interpret. These insights into product performance and general search behaviours inform both online and in-store merchandising, allowing B&Q to better understand how projects can be marketed and grouped. For example, customers looking at bigger projects, such as a kitchen remodel, tend not to make their purchases online. However, they will spend a significant amount of time researching their project on the website. "Adobe Analytics gives us a clear view of all of the products that a customer may be interested in for a single project," explains B&Q insight manager Matt Harris. "We can use this information to reorganise both physical and online stores so that customers can find everything that they need for a project in one place." Taking into account the need for everything in one place, the increase in tablet and smartphone use among B&Q customers means the mobile website is becoming a vital component of its omnichannel marketing. Compared with desktop users, mobile users tend to look for much more immediate knowledge, such as the location of a store and whether a specific item is in stock. 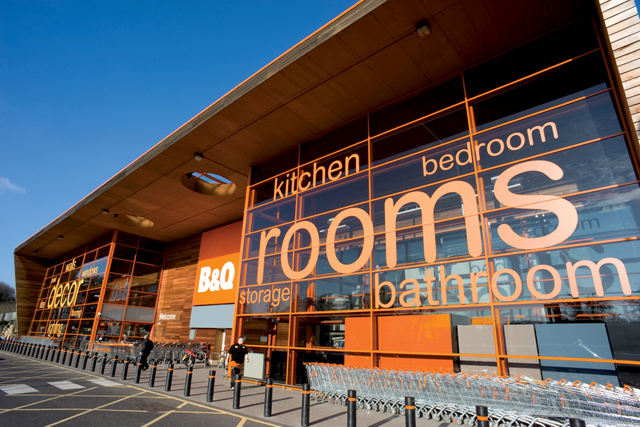 Accordingly, B&Q improved its connectivity specifically for mobile customers, constructing a personalised and relevant experience. This understanding of where to direct its marketing continued to filter across other areas of the company's online strategy. For instance, using the data-connector capability in Adobe Analytics, B&Q can pass data to Responsys, the company's email marketing-solution provider, allowing it to develop email marketing campaigns that improve engagement and conversion. Actions included developing an "abandoned basket" campaign that sends a follow-up email to customers who place items in their online shopping trolley but fail to complete the purchase. This reminder delivers an open rate 2.2 times higher and a click-through rate 6.5 times higher than a normal email. B&Q's revised view of online customer interaction means the company is ready to expand its use of Adobe Marketing Cloud even further. By implementing Adobe Analytics and the tools it provides, B&Q can offer customers a connected and enhanced online experience, flexible and responsive to their individual online needs. Getting down to facts and figures, in re-evaluating its marketing structure, B&Q has increased conversion up to 2000% with "abandoned basket" emails. It has improved open rates 2.6 times and click-through rates 3.8 times through personalisation, and optimised its mobile site based on the specific needs of mobile customers. From a company perspective, B&Q has reduced spend on paid search terms by analysing those that are the top performers. Matt Harris concludes: "Adobe Marketing Cloud has given our merchandisers and marketers reliable and quantifiable data that they can use to inform decisions, and Adobe Consulting worked to understand our business needs and help us develop a solution. We have been incredibly pleased with the results so far, and we can't wait to see what improvements Adobe Marketing Cloud will bring to our digital channels in the future." Can you define a digital marketer?